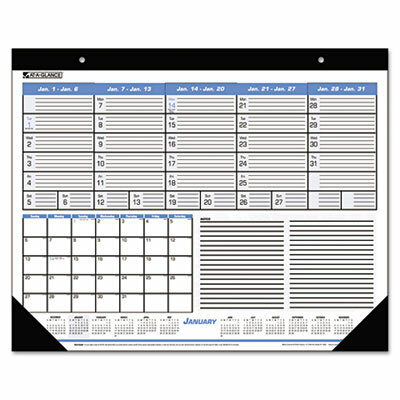 Two formats on each sheet, weekly for detailed planning and monthly for a general overview. Weekly format has ruled blocks and shaded weekends. Monthly format has unruled blocks. Plenty of note space ruled for easier writing. Two formats on each sheet, weekly for detailed planning and monthly for a general overview. Weekly format has ruled blocks and shaded weekends. Monthly format has unruled blocks. Plenty of note space ruled for easier writing. Versatile use on desk or wall.